We are reading The Princess Bride right now -- and I found this something else (and what I found Amy is shrinking to make it to be within size limits) ... but in the meantime I found these! 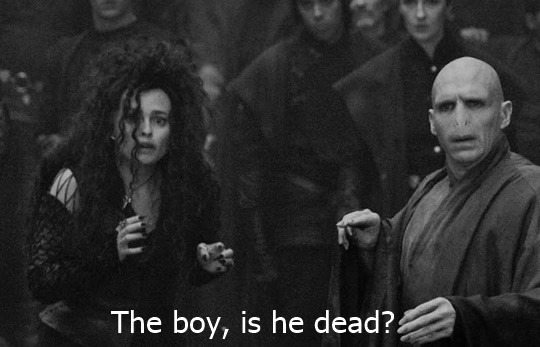 "The boy, is he dead?" "It just so happens that your friend here is only mostly dead." 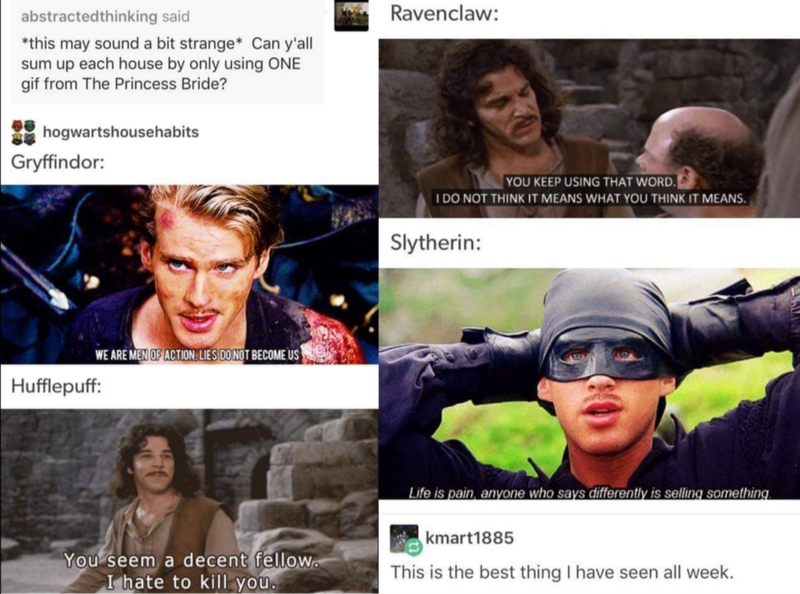 abstractedthinking said: *this may sound a bit strange* Can y'all sum up each house by only using ONE gif from The Princess Bride? kmart1885 replied with: This is the best thing I have seen all week. 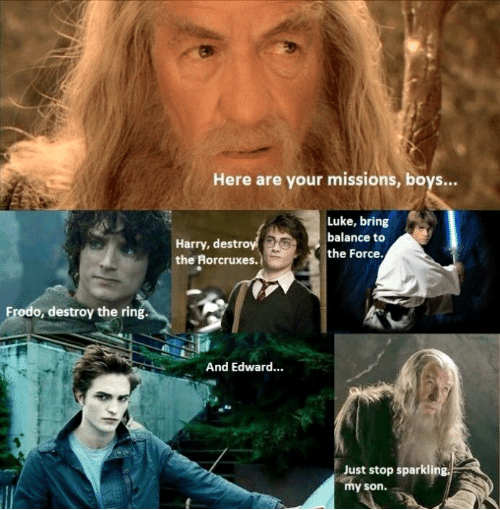 Top row shows Gandalf saying "Here are your missions, boys ..."
Frodo - "Frodo, destroy the ring. 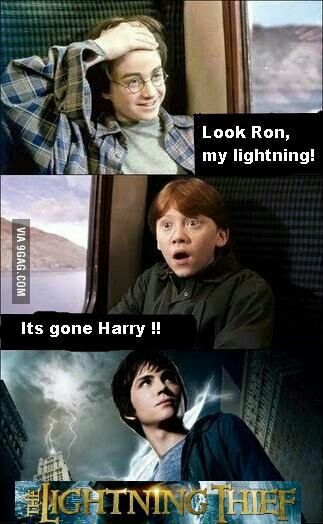 Harry Potter - "Harry destroy the Horcruxes. Luke Skywalker - "Luke, bring balance to the Force." (Cedric Diggory) Edward Cullen - "And Edward ..."
Gandalf - "Just stop sparkling, my son." From the audio description for Doctor Who, series 10 episode 5 "Oxygen"
Have a feeling whoever wrote that audio description script was a Harry Potter fan! Image shows Gene Wilder from Willy Wonka and the Chocolate Factory, where he has 'that smile' on his face. 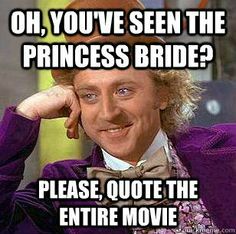 Oh, you've seen the Princess Bride? Please, quote the entire movie. 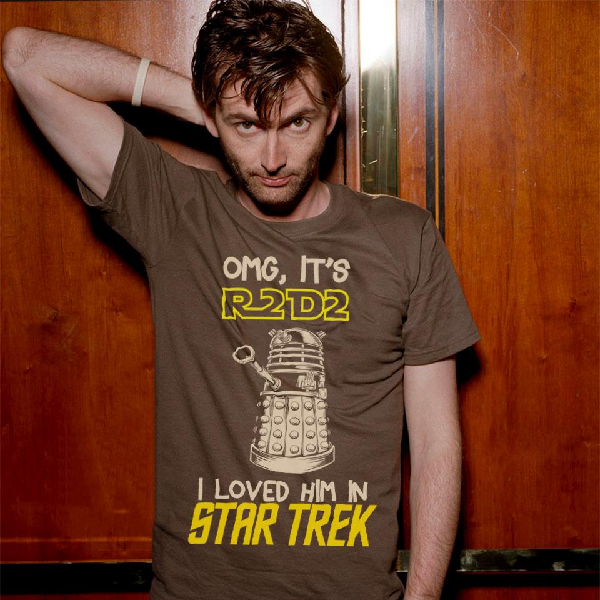 Image shows David Tennant (Doctor #10 in Doctor Who) wearing a brown t-shirt which has a picture of a Dalek on it. Words above the Dalek "OMG, it's R2D2". Picture of Dalek. Under picture of Dalek "I loved him in Star Trek." 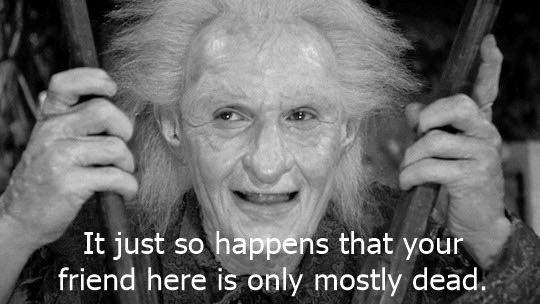 Obviously Harry Potter and Doctor Who. Hypocrisy: prejudice with a halo. I love this! 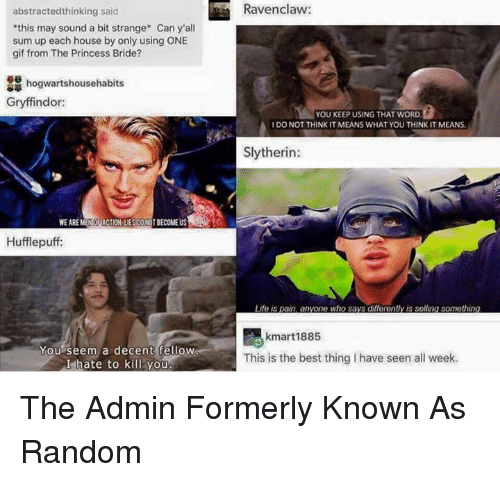 Also, you must have seen the movies to understand the references. Image shows three pictures, one above the other. Two women talking with each other. In top picture, a red-haired woman says to dark haired woman "Remember what father used to say?" Second picture down, dark haired woman responds "One does not simply walk into Mordor." Third picture, the camera has drawn back and it shows the two of them standing in a graveyard, looking at snow-covered headstones. Dark haired one says "I know! Like, what is Mordor?" and the red-haired one replies "Yep. Weird man." Ah. 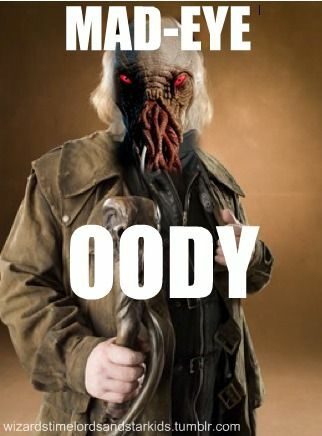 Well, this is now on a t-shirt .. --- Fantastic Beasts and Doctor Who mashup. Image shows -- on left side what appears to be a male child (cartoon, not accurate) standing in a suitcase, his body shows from waist up. He wears a blue coat and brown vest and has tousled light brown hair and his arms are thrown up in a glee/excitement attitude. On right side is a man standing in open doorway of an old-fashioned telephone box. He wears a long brown coat, with a blue suit underneath and his right hand holds up what appears to be a sonic screwdriver. He has dark brown hair, part of it is sticking sort of straight up. Both of them are shouting "IT'S BIGGER ON THE INSIDE." 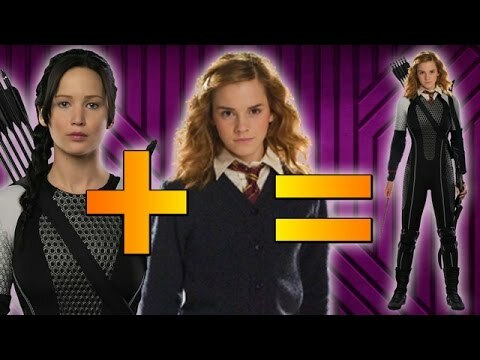 There is discussion of different people in lesson 2 of the class The Her in Hero, and I started wondering about another Harry Potter/Hunger Games merge. Image shows words The Potter Games (with Harry Potter silvery font) on a stormy stormy background. Image shows a circle (like that for Hunger Games) but in the center of the circle, instead of the Mockingjay carrying an arrow, is an owl carrying a broomstick. Under the circle it says "District 9 3/4". 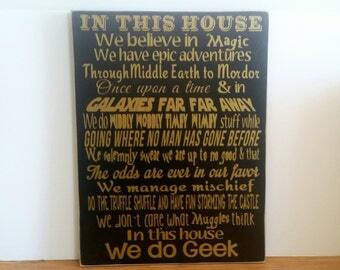 Image shows sign with these words written in different fonts and sizes, using different shades of gold and browns, on a dark dark brown background -- "In this house we believe in magic. We have epic adventures Through Middle Earth to Mordor. Once upon a time & in Galaxies far far away. We do wibbly wobbly timey wimey stuff while going where no man has gone before. We solemnly swear we are up to no good & that The odds are ever in our favor. We manage mischief. Do the truffle shuffle and have fun storming the castle. 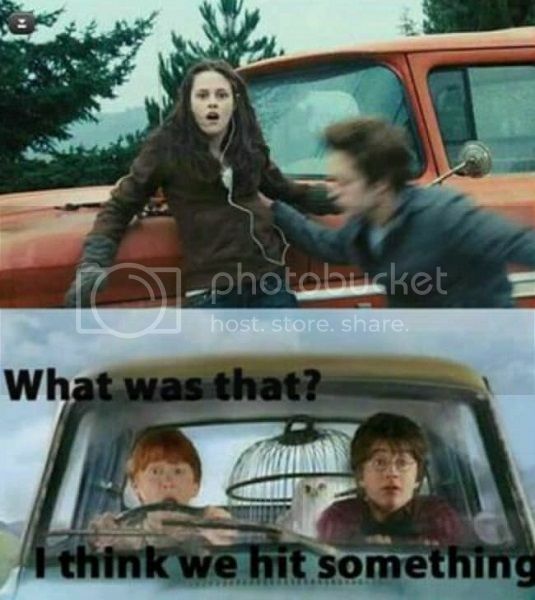 We don't care what Muggle think in this house. We do Geek." Image shows Cedric Diggory and Harry Potter, on Hogwarts grounds, facing each other, intent expressions on their faces. Edward: "Say it! Say it out loud. Say it." Image shows Elrond, Gandalf and Bilbo standing in a building in Rivendell. Elrond is looking at a piece of parchment. At top of image are words: "This is the strangest map I've ever seen." Towards middle of image "Footprints are walking around with names written under them." 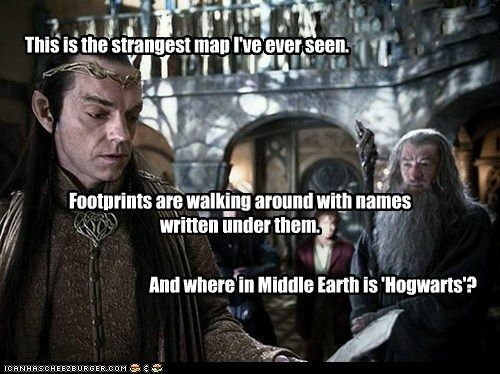 followed by "And where in Middle Earth is "Hogwarts"?" First picture of two -- The Burrow. Ron, Harry, Arthur Fred, George and Percy (with bedhead) are eating at the table. Molly is off to the left at the oven (or stove). Words written in picture -- "VWOOP WWOOP" and all the persons at table look to something a little to the right of the camera. This is amazing and i'm cracking up! Hahaha..
Tarma shared this in #hol and I just had to put it here. Too good not to share..